Joseph Francis "Joe" Mika Jr. 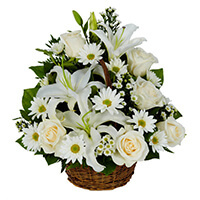 Provide comfort for the family of Joseph Mika with a meaningful gesture of sympathy. 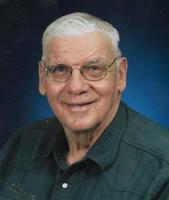 Joseph Francis Mika, Jr., 87, of Platte, SD passed away Saturday, March 30, 2019 at Platte Health Center Avera. Funeral Services are 2:00 P.M. Friday, April 5, 2019 at Mount Funeral Home in Platte. A Committal Service with Military Honors will follow at Lake George Cemetery, rural Platte. Visitation will be held from 5:00 – 7:00 P.M. Thursday, April 4, 2019 at the funeral home with a 7:00 P.M. Prayer Service. Joseph Francis Mika, Jr. was born on November 2, 1931 to Joseph, Sr. and Anna (Nedavaska) Mika at their home in rural Brule County, SD. He attended the Mika Country School and Platte High School. He went on to serve his country in the US Coast Guard as a Diesel Mechanic from February 1952 – February 1955. After Joe’s discharge from the Coast Guard, he married Bonnie Ruth Rardin on August 21, 1955 at St. Margaret’s Catholic Church in Kimball, SD. They began their life-long vocation of farming/ranching south of Kimball. Joseph was a progressive, innovative farmer and rancher, adding land to his farm as it became available. He and his family raised SPF Hampshire hogs in the early years, and then moved onto a life-long journey of raising registered Simmental breeding cattle, holding a production sale each spring for a number of years until retirement. Joe was a very innovative farmer who thought outside the box, making unique gadgets that resulted in better crop and hay yields. He was a conservationist throughout his life, planting a large number of trees and creating pheasant habitat; hosting groups of hunters each fall who became life-long friends. 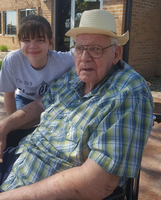 Joe served on the Pleasant Grove Township School Board, was a member of Campbell-Timmerman American Legion Post #115 of Platte and a former member of St. Margaret’s Catholic Church. 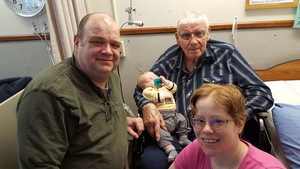 Grateful for having shared in Joe’s life: four children: Barbara (Richard) Swett of Platte, SD, Daniel (Michelle) Mika of Mitchell, SD, Sandra (Tim) Naasz of Platte, SD and Douglas (Angel) Mika of Cora, WY; 19 grandchildren: Keith (Amanda) Swett, Jeff (Emily) Swett, Suzanne Letcher, Shayla Swett, Troy Swett, Amya Swett, Dyson Swett, Elizabeth Hainy, Alexandra (Jeremy) Wilson, Emilie Mika, Abagayle Mika, Kaelyn Mika, Taylor Mika, Rebecca (Shad) Christman, Sawyer Naasz, Alana Mika, Anastasia Mika, Quincy Mika and Kathrine Mika; six great-grandchildren; a sister, Marie Petula of Kimball, SD; along with many nieces and nephews. Joseph was preceded in death by his wife, Bonnie (Feb. 4, 2017); his parents, Joseph, Sr. and Anna; a sister, Lydia; and a brother Frank. 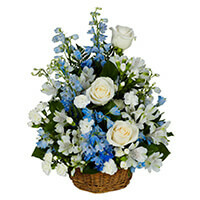 To send flowers in memory of Joseph Francis "Joe" Mika Jr., please visit our Heartfelt Sympathies Store. 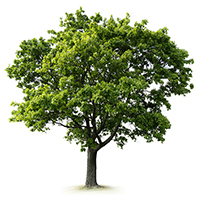 3 trees have been planted in memory of Joseph Francis "Joe" Mika Jr. The Collins Family purchased the THINKING OF YOU BASKET for the family of Joseph Mika. Doug Mika purchased the PEACEFUL WISHES BASKET for the family of Joseph Mika.